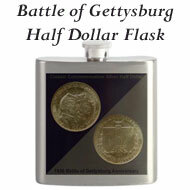 The 2003 mint set contained 10 uncirculated coins from the Denver mint and ten from the Philadelphia mint, including the penny, nickel, dime, half dollar, dollar and the five state quarter coins. Separate envelopes held the ten coins from each mint. The 2003 mint set included the fifth year of the US Mint's state quarters program and the fourth year of the new Sacagawea golden dollar coin. The two envelopes in the 2003 mint set included a red one for the coins minted in Denver and a blue one for the Philadelphia minted coins. 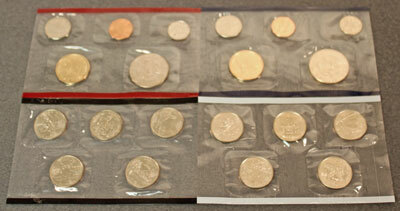 Within each envelope, two Mylar sleeves held the coins. One sleeve held the five state quarters while the other held the penny, nickel, dime, half dollar and dollar uncirculated coins. 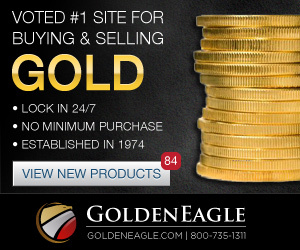 For the 2003 mint set, the US Mint placed an image of a proud eagle in front of an American flag blowing in the wind. Both envelopes used the same image, and the image was surrounded by the color for the mint, red for Denver and blue for Philadelphia. 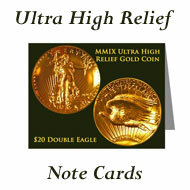 In addition, the front of each envelope includes "United States Mint" and "2003 Uncirculated Coin Set." The 50 State Quarters logo displays on the lower left of each envelope. The backs of the envelopes in the 2003 mint set reflected the colors associated with each mint - red for Denver and blue for Philadelphia. The US Mint's web site address on each envelope's flap shows in white against the red or blue. 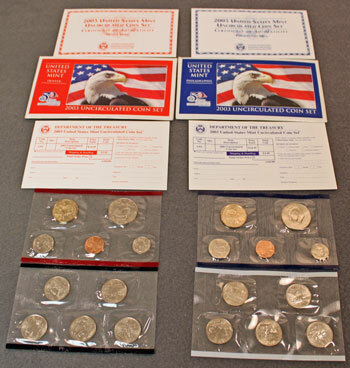 The contents of each envelope in the 2003 mint set remained consistent except for the designs. Two Mylar sleeves held the coins, an insert provided information about the coins, and an inserted card made it easy to order more sets. From the top left in the picture below, the Denver portion of the 2003 mint set included the US Mint's red card describing the Denver uncirculated coins, the dominantly red envelope, the red re-order card, the regular uncirculated coins in the red-edged Mylar and the state quarter uncirculated coins in the black-edged Mylar. Similarly, from the top right, the Philadelphia portion of the 2003 mint set contained blue versions of the materials with the regular uncirculated coins in blue-edged Mylar and the uncirculated state quarters in the white-edged Mylar. From the obverse (heads) view, the two Mylar sleeves in the 2003 mint set for the Denver minted coins include the red-edge for the penny, nickel, dime, half dollar and dollar uncirculated coins. 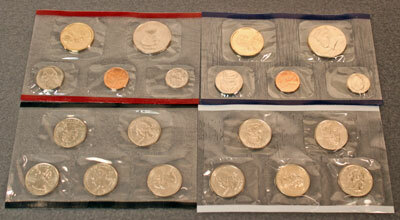 The black-edged Mylar sleeve contained the fifth set of five uncirculated state quarters. On the right, the dark blue-edged Mylar held the dollar, half dollar, nickel, penny and dime uncirculated coins from the Philadelphia mint. 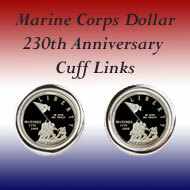 The white-edged sleeve contained the five uncirculated, Philadelphia-minted state quarters. Each 2003 mint set envelope contained informational inserts. 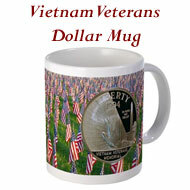 The designs are similar except for the red and blue colors and the background images for each mint. The US Mint continued the simple design begun the previous year on the informational inserts. 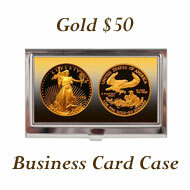 The design shows an image of the eagle from the Great Seal in red or blue behind the title of the insert. The red-toned insert belongs to the Denver minted coins with the blue to the Philadelphia uncirculated coins. Except for the colors and the mention of Denver or Philadelphia, the inside of the inserts in the 2003 mint set are the same. The inserts discuss the coins included in the set and describe the fifth year of the 50 state quarters program. The coin specifications for the state quarters show on the inside. Denver's insert includes a red font while the Philadelphia was printed in blue. The back of the two inserts in the 2003 mint set shows the coin specifications of the cent, nickel, dime, half dollar and dollar uncirculated coins. The back of both inserts continue with the corresponding red or blue ink. The opposite side of the reorder form suggests the collector order more mint sets for friends and family and includes the instructions for completing and sending the order to obtain more of the 2003 mint sets. Larger images of the 2003 mint set inserts show the contents of the inserts and the coin specifications with more detail. As Treasurer of the United States, Mexican-born Rosario Marin oversees the money-makers at the US Mint and the Bureau of Engraving and Printing. She may not be well-known, but her name along with that of the treasury secretary can be found on billions of currency notes. Henrietta Holsman Fore champions change in the nation's coins. As director of the US Mint, she oversees the production of billions of coins each year. She advocates a new look for the circulating coins. 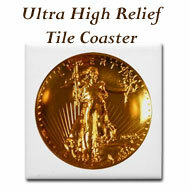 Collectors embrace her ideas; others heatedly prefer the coins as they are. Most people have not seen a nickel different from Jefferson on the front and Monticello on the back, but new five-cent coins will soon be available. Jefferson remains on the front, but the back of the coin will honor the Lewis and Clark expedition in celebration of the bicentennial of their adventures. 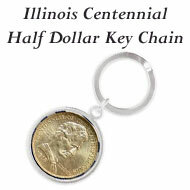 The Liberty head nickel was produced for circulation through 1912. 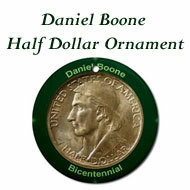 But, a US Mint employee made a few of the coins with a 1913 date planning to capitalize on collectors' interests. He produced five of the coins. Today, the whereabouts of four are known. The fifth rare nickel remains lost after a fatal car crash in 1962. In Denver, 32 female US Mint employees filed complaints this month for sexual harassment and unequal treatment from their management. Mint director, Henrietta Holsman Fore sent officials from the Treasury Department to examine the claims of harassment and discrimination. The 50-state quarter program began with Delaware and will end with Hawaii. 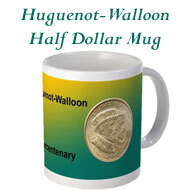 This week, it met the halfway point when the Arkansas state quarter began circulation. To commemorate the bicentennial of the Lewis and Clark expedition, the US Mint unveiled two new designs for the 'tails' side of the 2004 five-cent coin. This is the first change in the nickel since 1938 when the Indian and Buffalo designs were replaced by Jefferson and Monticello. After 65 years with hardly a change, the nickel gets two new designs next year. One design features clasped hands of friendship, and another shows Lewis and Clark on a keelboat. Jefferson, however, remains on the 'heads' side. With its new Artistic Infusion program, the US Mint seeks a pool of 40 artists it can utilize periodically for coin designs. The Mint Director said, "We would like to continue the renaissance of coin design in America and infuse it with new approaches from this century." Soon, Ronald Reagan dimes could show up in your pocket change. 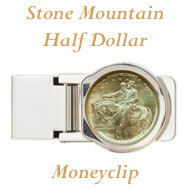 Legislation before Congress proposes a change in the dime to an image of Ronald Reagan. But, congressional action is not necessary, because the US Mint can decide administratively to change them. Twenty-five years ago, Gus Tiso turned his coin hobby into a business. 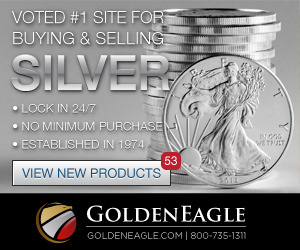 Now, he is one of the top silver dollar dealers in the nation. 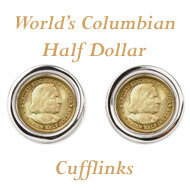 Mr. Tiso said that Americans have long been fascinated with the silver dollar even back in Colonial times. Today, it's the Morgan and Peace dollars people want. The coin news during the 2003 Mint Set Year included discussions of the new nickel reverse designs along with the potential for other coin changes as well.